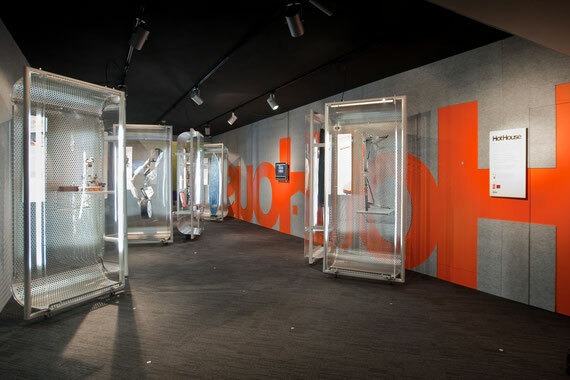 The HotHouse exhibition at the TheNewDowse was a fiery showcase of New Zealand’s hottest entrepreneurial ideas. The design brief called for a system that would allow easy changeover of the objects, as well as being able to reconfigure the space. Our team used raw materials that could be recycled (aluminium, PET plastic) to develop 10 mobile aluminium cabinets. The cabinets could be put together in various ways to enhance each object's story, create relationships between the works, and direct people through the space. Location: TheNewDowse, Lower Hutt, New Zealand. July 2009 - ongoing.